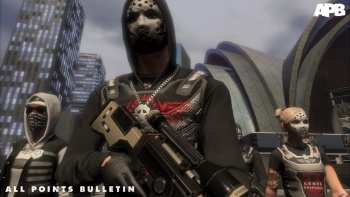 APB developer Realtime Worlds really wants you to enjoy its game. So much so, it's hiring more people so it can make the game better. Following the release of its crime MMOG APB, developer Realtime Worlds says it is shifting its focus away from the development process, and is instead gearing up to provide "100% support" for the game. In a press release, Realtime Worlds said it was planning to increase its overall staff level as it recruited people for "post-launch roles," but that some redundancies were expected as "the game's development cycle changes and a second development project is downscaled." "APB experienced a very smooth launch for an online dedicated game along with a great reception from consumers and we're immensely proud of the game the team has produced," said Realtime Worlds CEO Gary Dale. "We now have to focus our efforts and resources on running APB as a 24/7 online live operation, creating new content and services for the future and ensuring the best possible experience for the players". APB has received lackluster reviews so far, but MMOGs are always being tweaked and refined, so hopefully this new focus on support will iron out some of its problems and help the game find its audience.